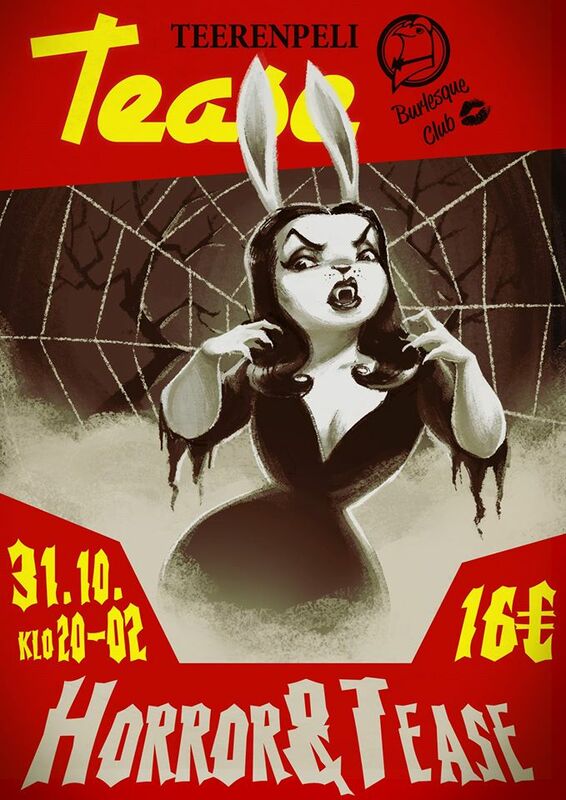 “Teerenpeli Horror & Tease Show”! There is stuff happening at the Teerenpeli basement once again and once again it is time for the annual Halloween spectacle! So come and spend an evening of fun with a bunch of friends, you are always welcome at Teerenpeli! As a pick-up we have the ridicilously gorgeus Elisa Day! During this event there will also be a costume contest so DRESS TO TERRIFY! Dresscode is not mandatory. You can also purchase tickets for 14€ with a Teerenpeli key chain. You can buy your own key chain from Teerenpeli bar for 5€ and get many other offers with it too! The last Teerenpeli Tease for this year is 5th of December!